The Mini Pallet System (MPS) is designed for smaller machines where less aggressive machining and tighter work envelopes are the norm. The system is still built with the same robust components found in our flagship Pro Pallet System but with a lower starting price and simplified design. The Mini Pallet System (MPS) Starter Package streamlines purchasing. We’ve even discounted the system so you know you’re buying smart. 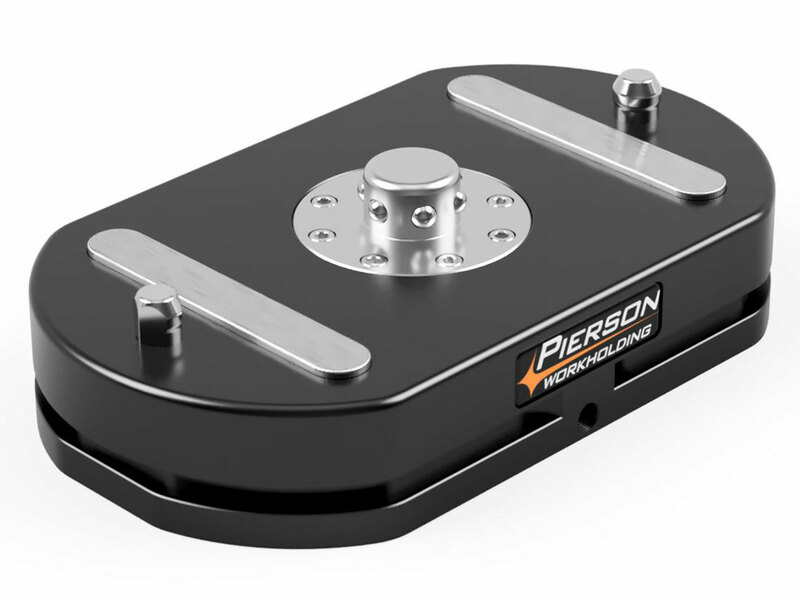 The MPS Base uses a single radial bearing locking mechanism to provide 1500 lbs of downward locking force. The fail-safe system is air actuated to release and spring powered to lock. 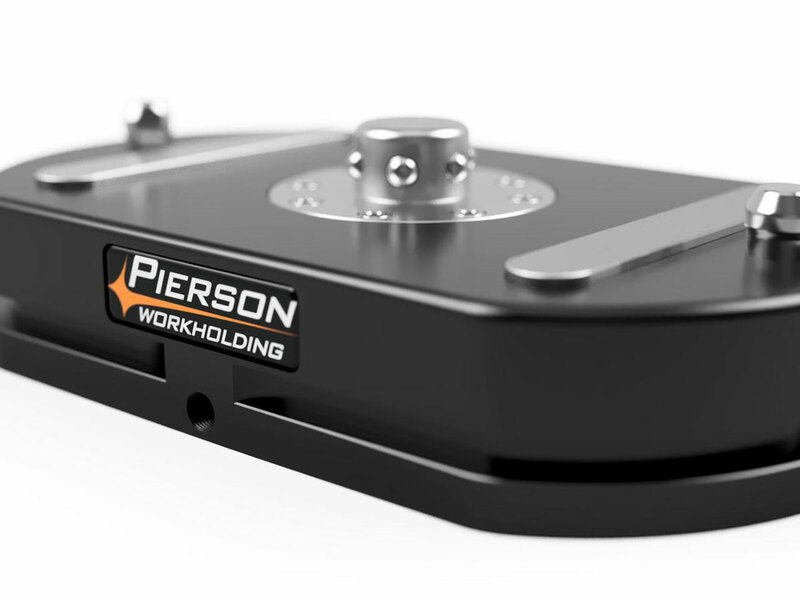 Repeatability is .0003″ due to the precision ground locating pins. 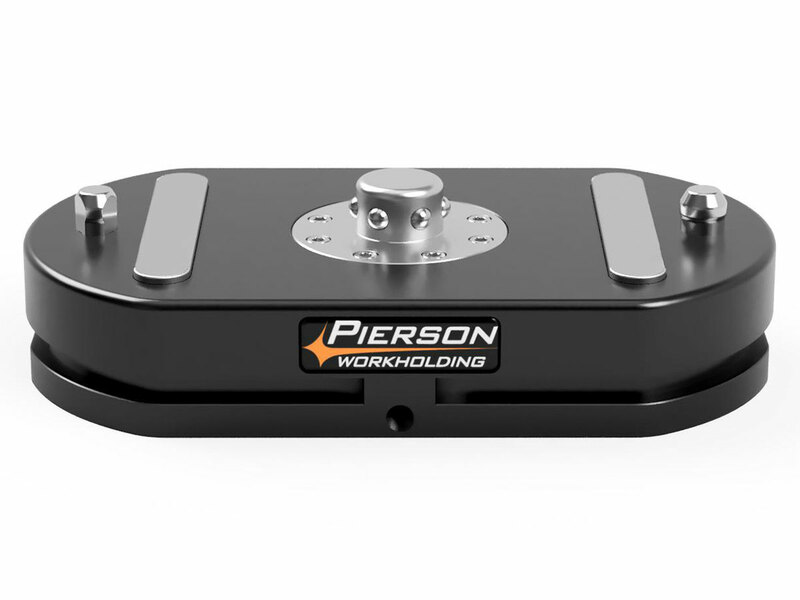 The combination of hard-anodized aluminum and hardened stainless components ensures excellent wear resistance. Standard pallets are 1-1/4″ thick and come in two sizes of 6″x10″ and 8″x14″ and locate with .0003″ repeatability. 6061-T6 Extruded Aluminum assures easy machinability. The bottom locking surfaces use hardened stainless steel for long life. The tops have a mill finish and ready to customize. 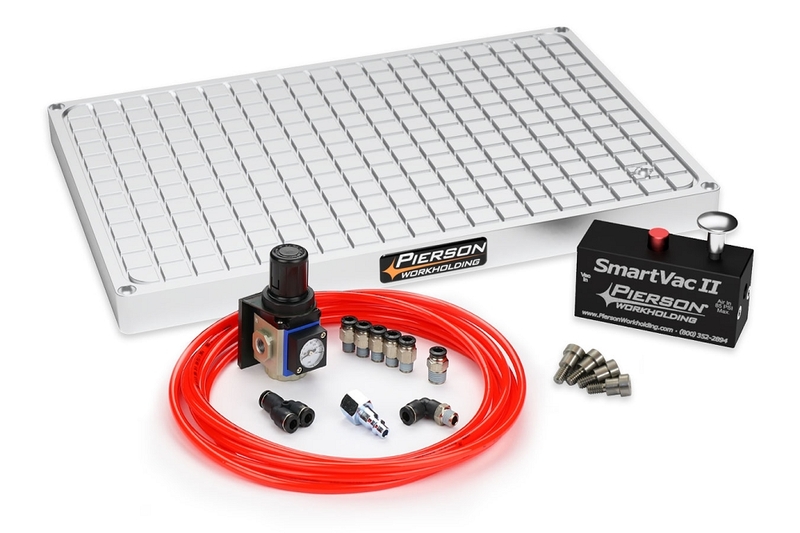 This connection kit gives you peace of mind ensuring you’ll have all the proper components to be up and running within minutes of opening the box. Plus, only one hand valve is needed to operate multiple bases when chained together. Kit is included in Starter Packages. Single inlet 9.5″ x 14″ chuck. 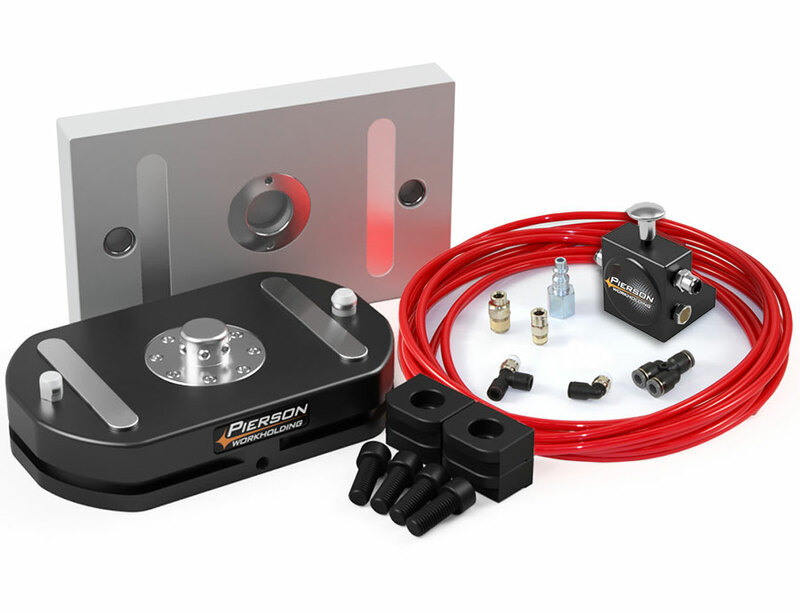 Adding vacuum workholding capabilities to the MPS is easy with this Vacuum Pallet Kit (VPK). 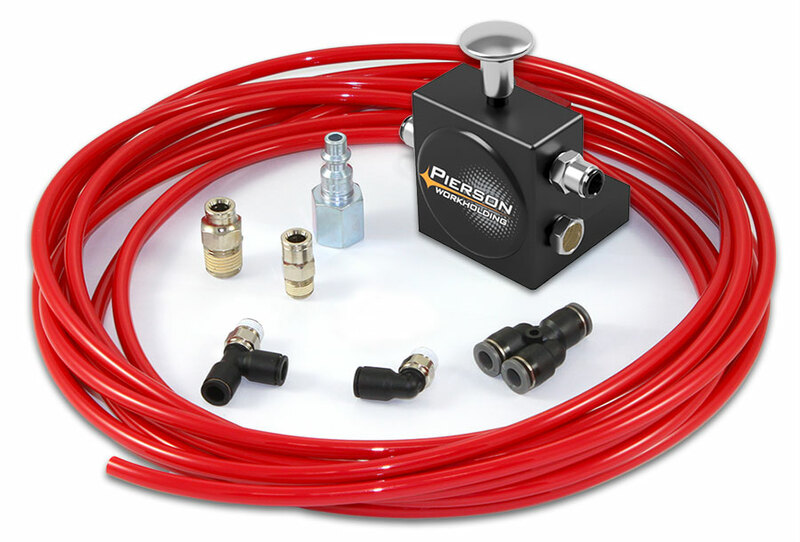 This kit includes our Vacuum Power Unit, Connection Kit, 25′ of Vacuum Gasket (not shown) and a 9.5″ x 14″ vacuum chuck which locks onto the MPS Base as easily as other pallets. By using specialized locating bolts, the Top Plates are aligned and secured to the SmartVac II Base with a repeatability of 0.001″. 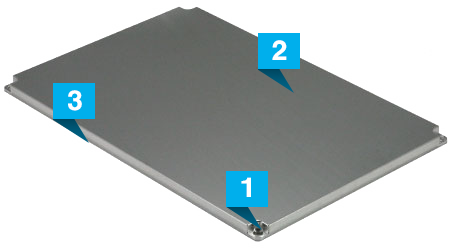 Aluminum plate is ground flat to within 0.002″ with a smooth surface of 18 RMS. 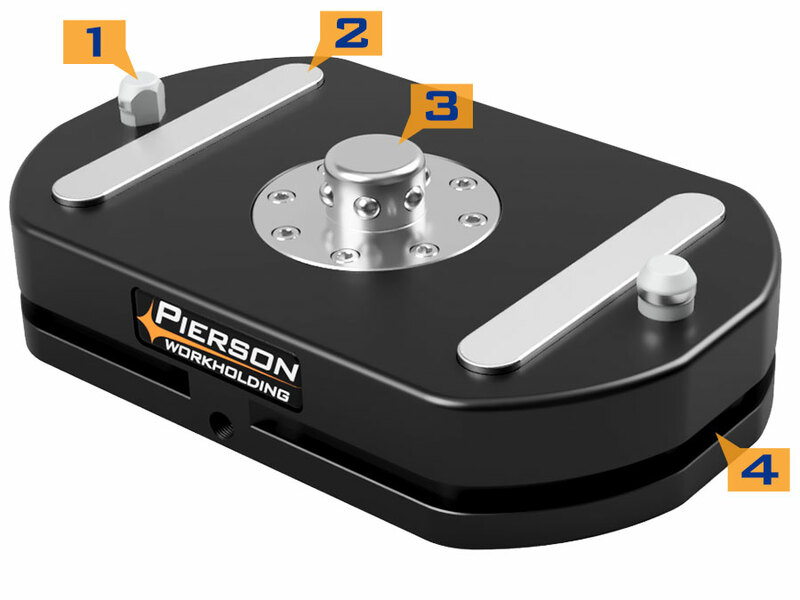 The bottom side of the Top Plates are strategically pocketed to pick up the vacuum source wherever you drill through. 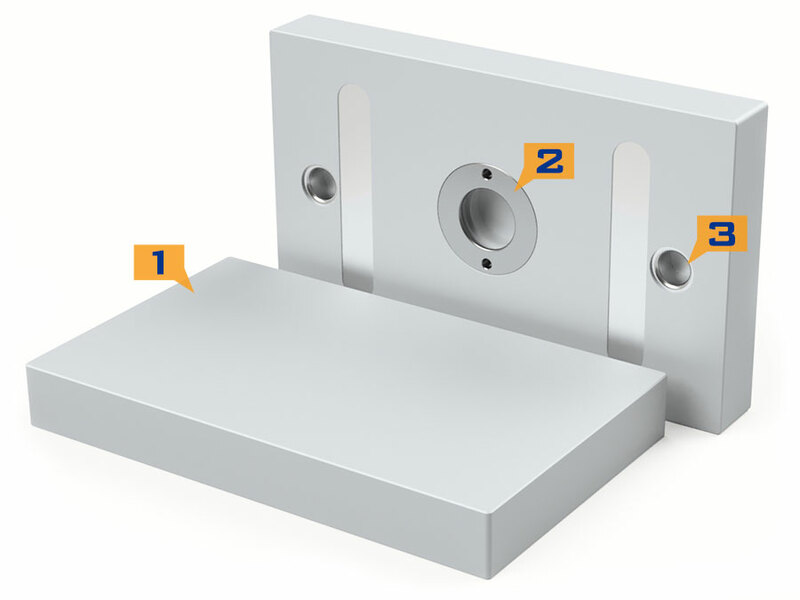 Use a Top Plate to customize a fixture to your part’s exact size and shape. Simply machine a 0.118″ slot 0.100″ deep just inside the edge of your part profile and tuck the 1/8″ gasket cord in the groove. Drill a through hole to allow the vacuum to flow inside the perimeter of the gasket area. 1. 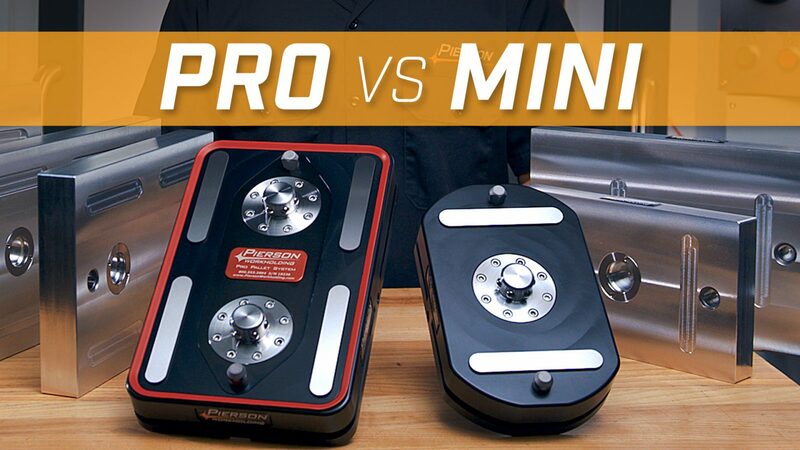 What is the biggest difference between the Mini Pallet System and the Pro Pallet System? The Mini Pallet System is built with the same basic components of the Pro Pallet System, but with the roughly half the components and cost. 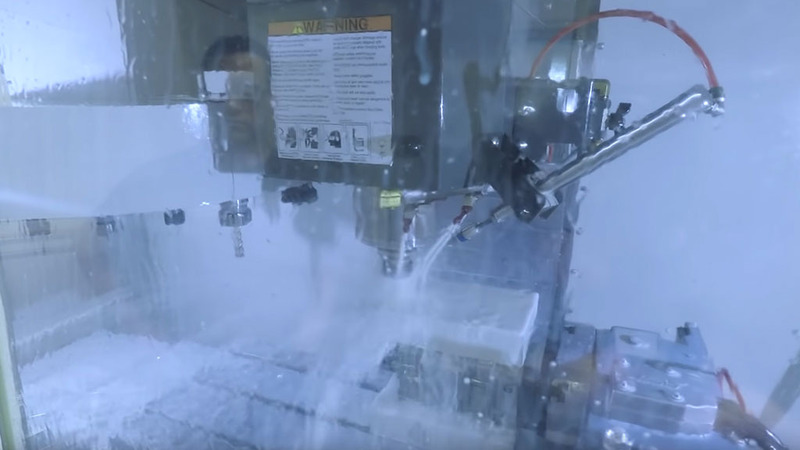 The MPS is best suited for lighter machining applications (spindles under 7 horsepower). 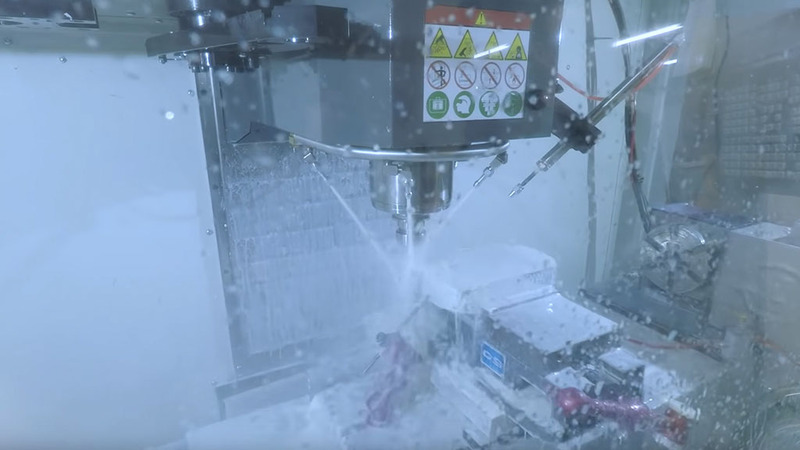 The base lacks a perimeter seal so air/mist coolant is preferred over flood coolant but still functions perfectly in any cutting conditions. 2. What is the accuracy of the Mini Pallet System? The repeatability of the MPS is .0003" - the same as the PPS. However, the MPS lacks a cast iron core which makes it more sensitive to large temperature fluctuations that could change accuracy up to .001". 3. How rigid is the system? In short, very rigid. Bolting the base down with 2 included toe clamps is sufficient, but the question arises about the overhang of the pallets. For this reason, we've limited the maximum pallet size to 8" x 14". 2000 lbs of force at the corner of the larger pallet can flex it up to .004" in Z, but stable in X and Y. However, in reality no drill or endmill exerts this much force without breaking. 4. Is there a hardware kit to make my own pallets? The MPS uses tight tolerance components that depend on equally tight tolerance machining of the aluminum pallet. For this reason, we prefer to manufacture all pallets in-house so that performance will not be affected. One workaround is to use our pallets as a master in which the user can bolt on other fixture plates. 5. Where can I purchase a Mini Pallet System? All of our products can be purchased directly through us. This allows us to establish a close relationship with our customers and provide the best applicaton advice possible. Click here to order online or give us a call to place an order at (800) 352-2894. We accept all major credit cards and company checks.